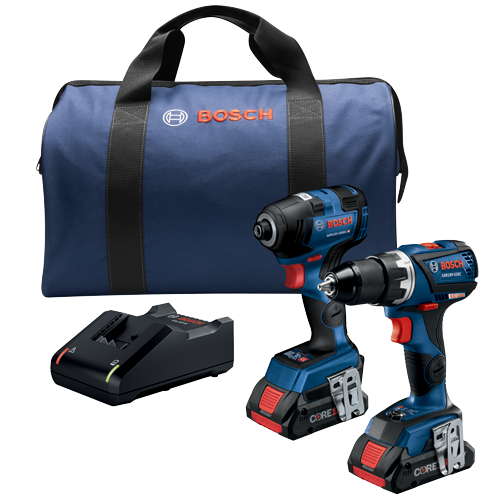 The Bosch 2-Tool Combo Kit with two CORE18V batteries combines drilling and driving versatility with next-gen Li-ion 21700 cell technology. The GXL18V-238B25 combo kit features the GDR18V-1800C 18V 1/4 In. Hex Impact Driver with a compact design and head length of only 4.9 In., giving it the best head-length-to-torque ratio on the market. 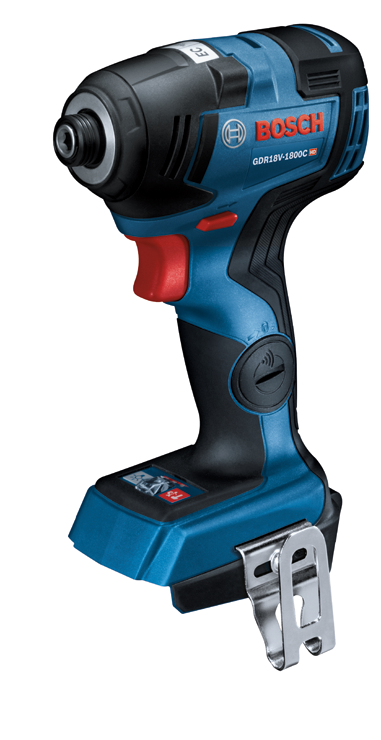 It features the Bosch hammer-and-anvil system to produce 4,000 impacts per minute (ipm) as well as a 3,400 rpm speed. The GSR18V-535C Compact Tough 1/2 In. 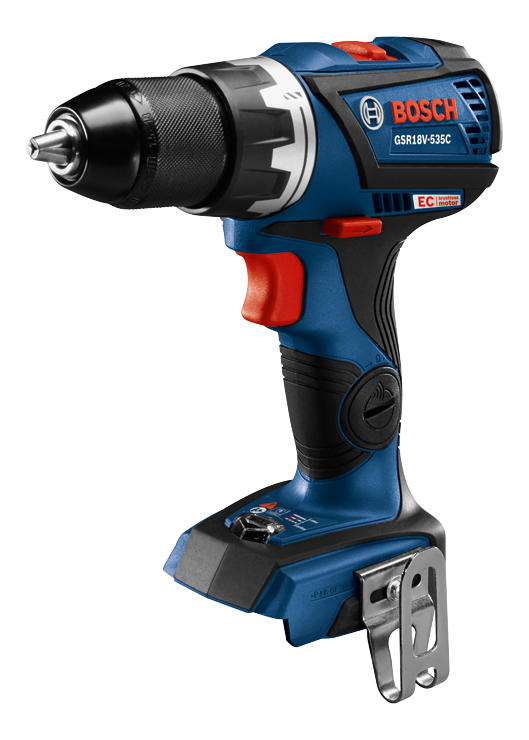 Drill/Driver has KickBack Control technology, up to 535 In.-Lbs. of torque and a precision clutch in a tool weighing only 2.5 Lbs. (tool only, not including battery). 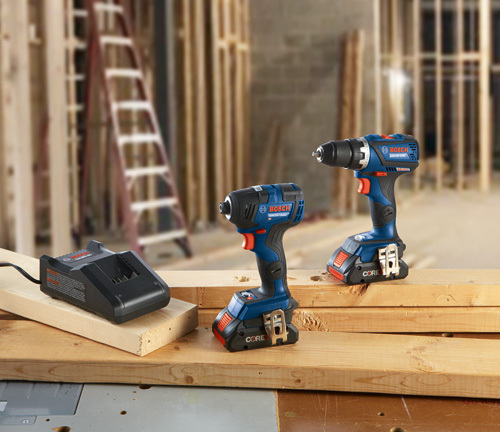 Both tools feature Bluetooth® connectivity to an optional Connected Tool Module and EC Brushless motors. 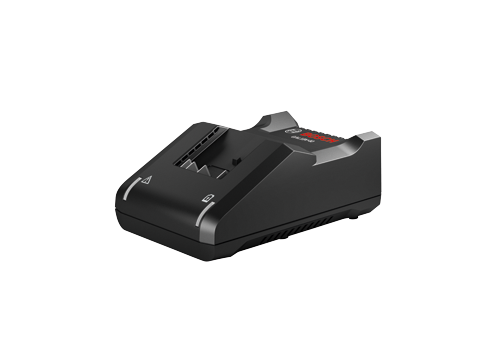 The kit includes two next-gen CORE18V 4.0 Ah compact batteries. Each keeps the power and runtime, while losing the weight, with 21700 cell technology. The CORE18V matches the power of the original two-layer 4.0 Ah battery with half the number of cells. It features the CoolPack 2.0 heat-management system.